Kabul. Afghanistan. 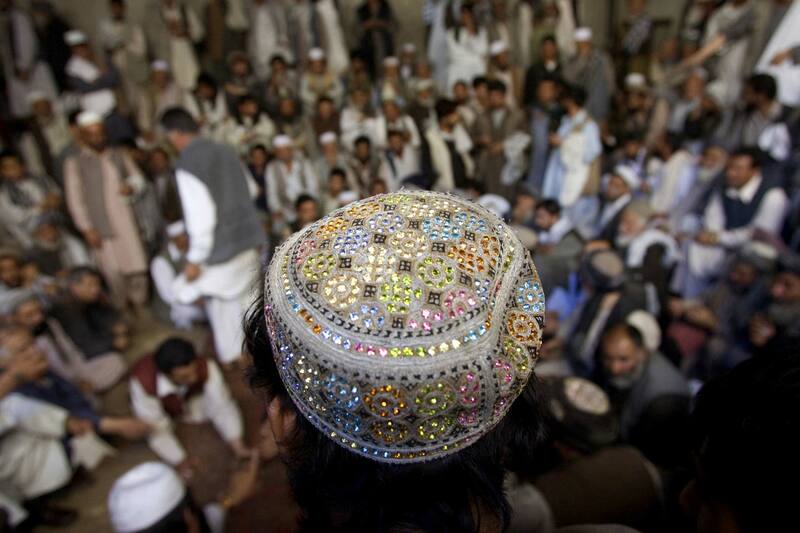 2007 A man with headgear characteristic of Kandahar at the bird fight in Kabul's Old City As theTaliban re-emerges, the sport once banned under the Taliban is once again threatened by politics and extremism.